1. 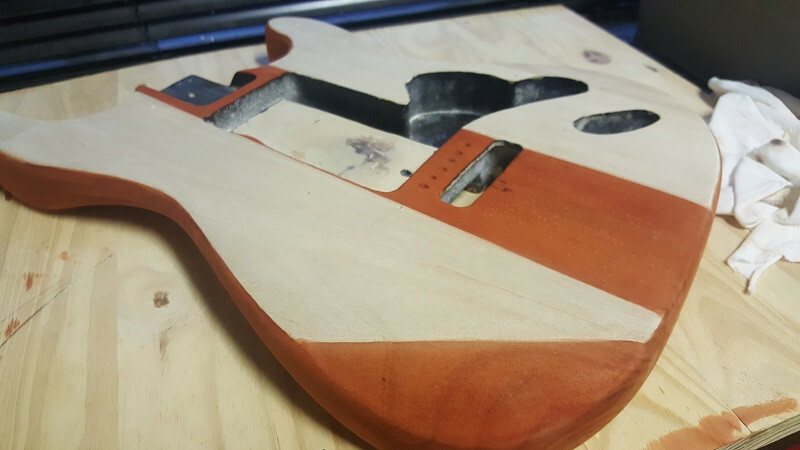 Doing a cherry red stain on the flamed maple neck, and sanding it back - what do you think? wern101 Digging that! Fun to see you and @tedibear keep on truckin' - love it! 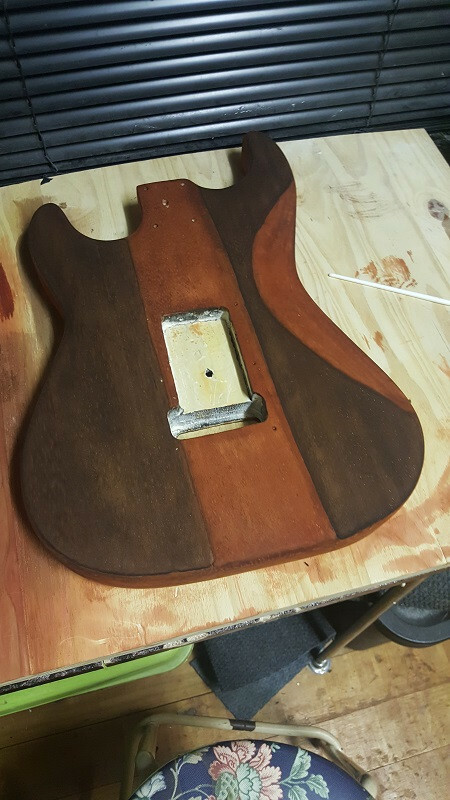 Cheery red on that neck would be awesome.. but it might clash with the body colours maybe do a test on some scrap wood first to compare.. If you are using a water based stain.. like Clou from Blackbeardsden.. an easy way to get the flame to pop with minimal sanding is to wipe it on with a cloth,, then immediately wipe it off, almost wiping all off with a damp/wet cloth..
just to highlight what i was saying earlier about applying water based stains..
this piece of scrap pallet wood.. after a bit of sanding, stain was applied and then washed off again.. leaving this. 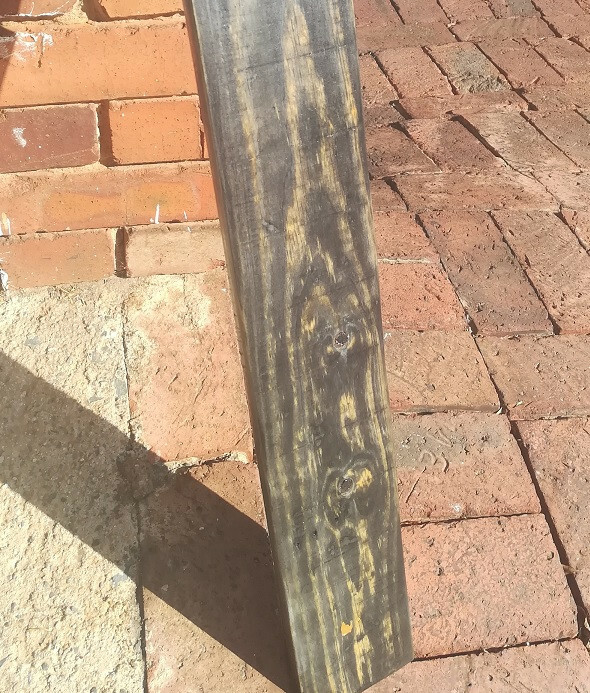 no sanding has taken place since staining. as with everything prep work is the most essential part,, never skimp on prep work.. makes everything so much easier. So the little box of goodies arrive. Not so good after all. 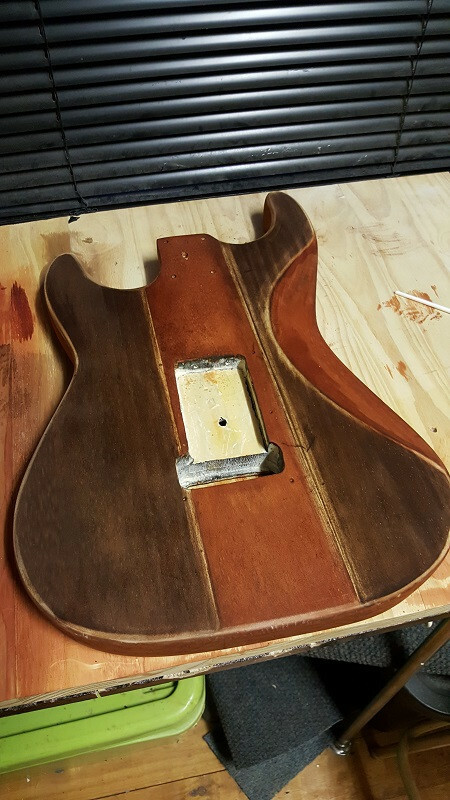 No Tru Oil, instead a bottle of Teak stain. :face_with_rolling_eyes: Contact supplier. They are sorry. Will send ASAP. End cap for selector switch doesn't fit. Website says it must be ordered additionally but the thing arrives with one on already, wrong colour. The one i ordered does not fit. 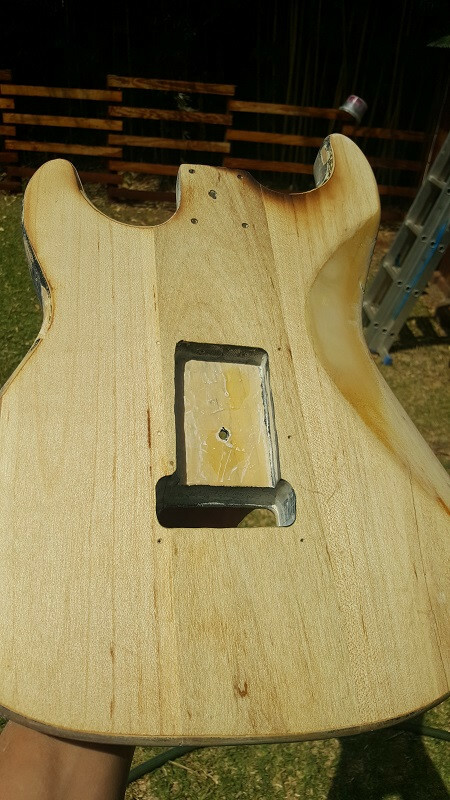 Humbucker Pickup Rings do not fit the Humbuckers!! WTF!?!! 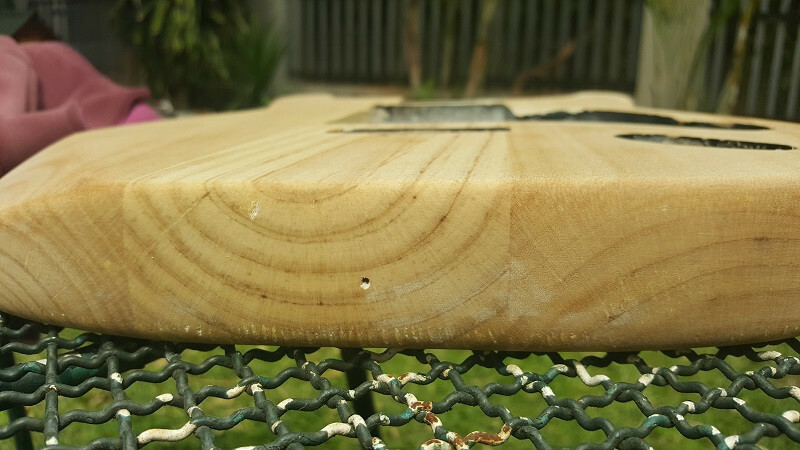 Their website says the humbucker is sold without the ring, get one by clicking the link. Great. 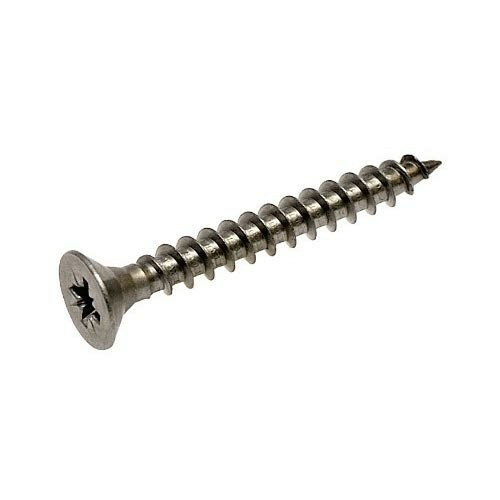 Ordered. Arrived. No fit. 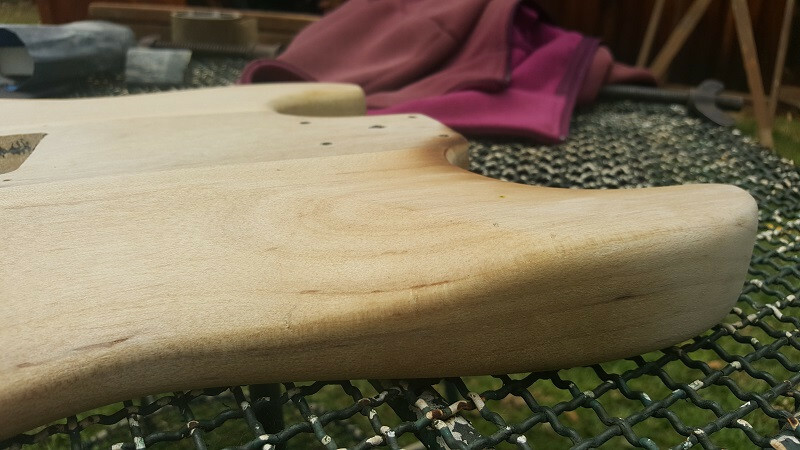 As for making a pickguard - total ballsup. Figure I will order one from Raru and just mod it the way i want it to look. 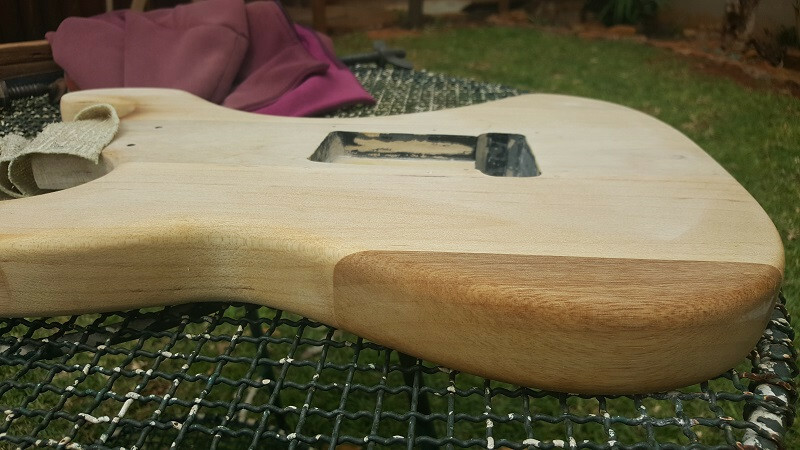 and about making the pick guard.. what happened? 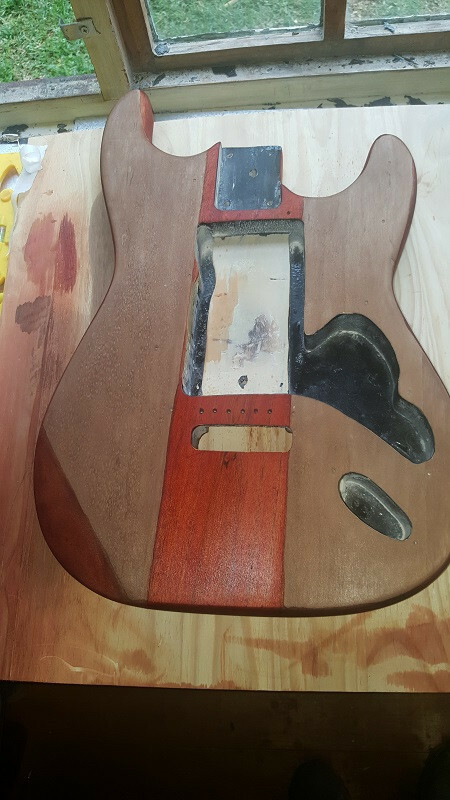 tedibear and about making the pick guard.. what happened? Tried to make one out of galvanized. Got pretty far, but doing the cut outs is a 'b1tch'. I can still do it, but will look really crap (not nice and smooth). 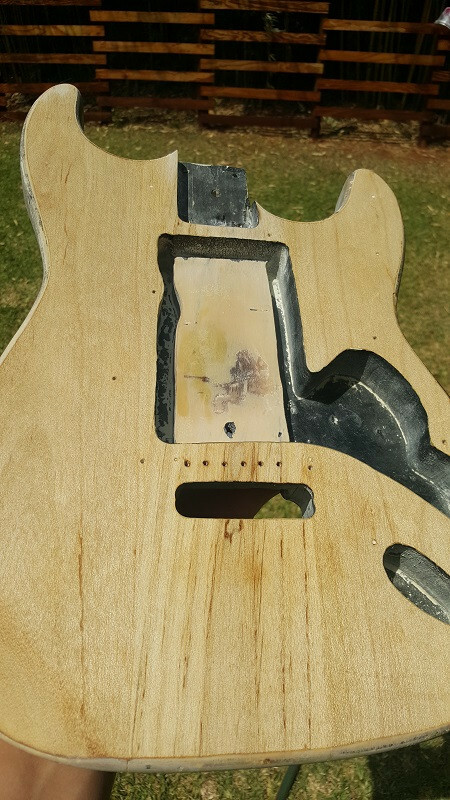 To do a nice one with a water or plasma cutter will probably cost me around R1K - for a pickguard...erm.... no. or send me the file and I'll see what I can do.. 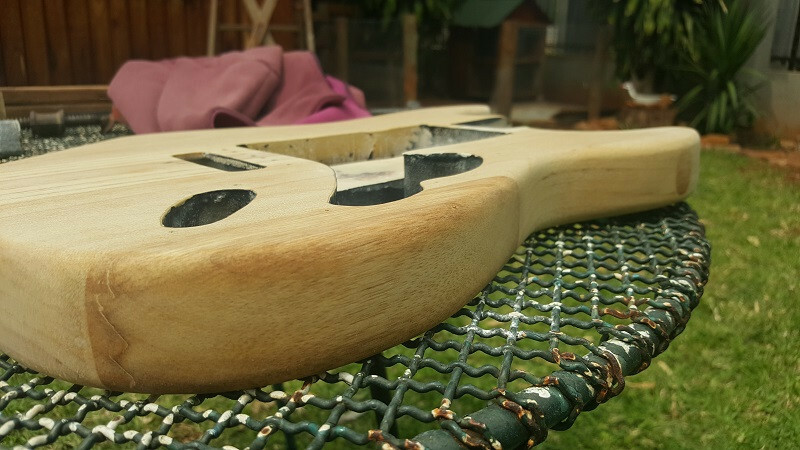 If you are willing to do the work yourself, you can buy time at Made in Workshop (http://madeinworkshop.co.za/). I've used them before, and they have a laser cutter, plasma cutter, lathe, cnc milling machine, drills, welders, benders, 3d printers etc. You pay per day of use. I usually wait until I have a bunch of things on my list and then buy a 10-day package which works out to R175 per day. Problem is our esteemed friend wern101 Lives out in the middle of nowhere.